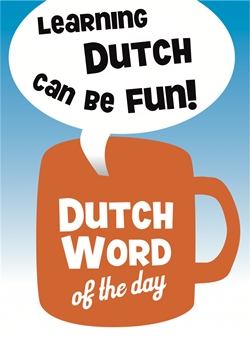 Since "schuttingtaal" is a name for a specific usage of a language ("taal"), it does not have a plural form. Obviously, "taal" has a plural form and it is … (fill in yourself 🙂 ). So, "schuttingtaal" has become a synonym for foul language, referring to the kind you might read on fences or walls. It is mostly used in its figurative sense. – "Ik zou willen voorstellen dat we het gebruik van schuttingtaal tijdens deze vergadering zo veel mogelijk beperken." – "Schuttingtaal uitslaan": to use foul/obscene language. – "Je kunt deze politicus niet serieus nemen; hij slaat alleen maar schuttingtaal uit!" – "Vieze woorden": dirty words. – "Schelden": to curse/swear, to scold, to use abusive language. – "Vloeken": to curse/swear. In the Netherlands the "bond tegen het vloeken" ("alliance against swearing") campaigns for a society without swearing. You might see their posters at train stations. One of the posters criticises the usage of the name "Jezus", since this is a holy name to many. The poster implicitly suggests one of the other 20.000 names we use in the Netherlands. You can order a poster with your own name at their website! Poster bestellen is helemaal niet gratis!